Welcome Home! Located in Huntington Pines, A Gated Community Nestled Within the Heart of the Denver Tech Center. Stone-Coated Steel Roof and New Windows Throughout. Cherry Creek School Distric. 4 Large Bedrooms and 3 Updated Bathrooms Upstairs. Custom-Inlay Brazilian Cherrywood Floors Adorn The Main Floor and Vaulted Ceilings and New Windows Flood the Space with Natural Light. Modern-Style Staircase and Railings. Luxurious Finishes In The Kitchen - Kitchen Island, Quartz Countertops, Range Hood, And Modern Lighting with Full Stainless Steel Appliance Package And Attached Formal Dining Room. Custom Steel âFrenchâ Doors in Foyer and Family Room. Large Rooms For Entertaining. Oversized Three-Car Garage w/ Workbench and Storage Connects to Large Mud Room and Laundry. Private, Fenced Yard. Finished Basement With Two Additional Conforming Bedrooms, Living Space, Wet Bar, And Full Bath. Utility Room Has Laundry Connections. Newer 60-Gallon Water Heater, Storage, And Radon System. 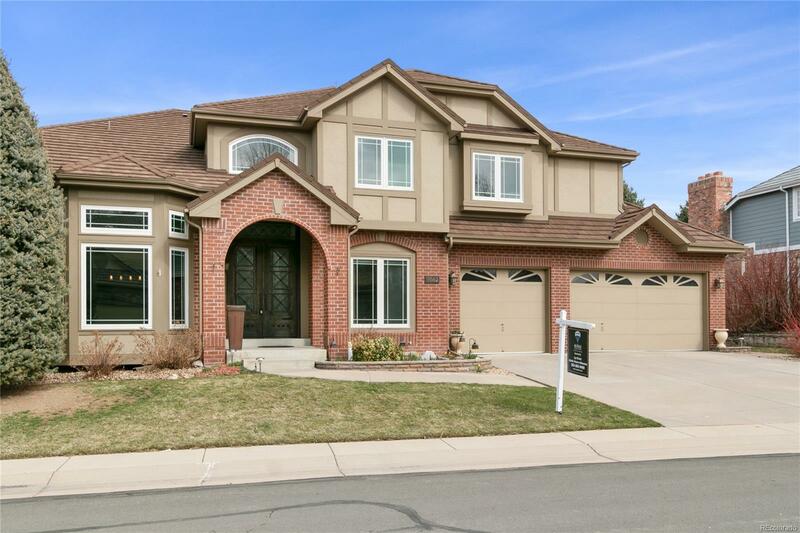 The content relating to real estate for sale in this Web site comes in part from the Internet Data eXchange ("IDX") program of METROLIST, INC.DBA RECOLORADO® Real estate listings held by brokers other than The Real Estate Studio are marked with the IDX Logo. This information is being provided for the consumers' personal, non-commercial use and may not be used for any other purpose. All information subject to change and should be independently verified.